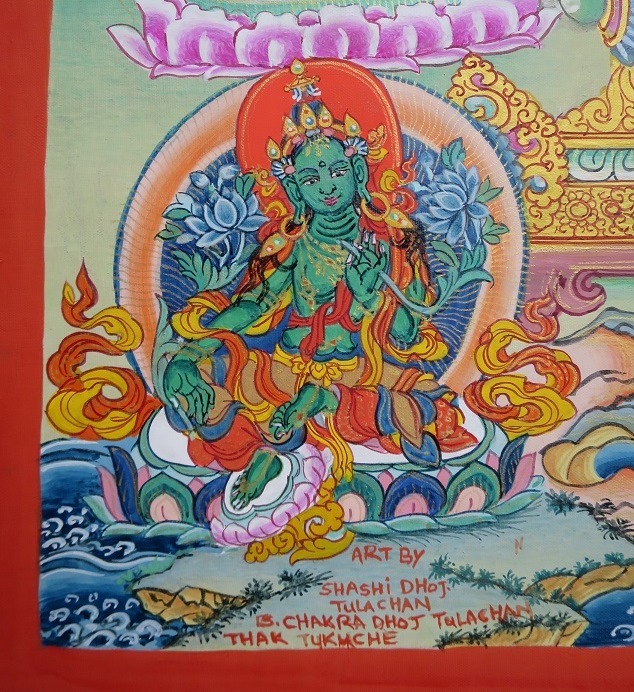 This thangka signed by Shashi and Chakra is complete and available for sale. 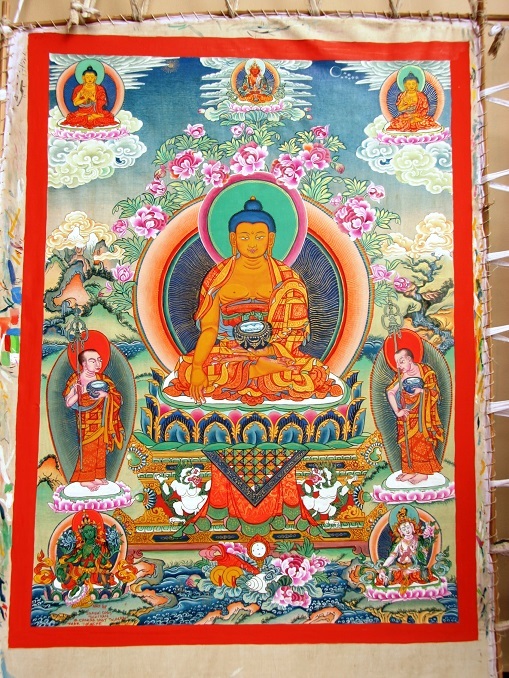 The central figure is Sakyamuni Buddha, with a Buddha of the past, Amitayus and the Buddha of the future, looking down from above. Sakyamuni’s two main disciples, Sariputra and Moggallāna stand either side of him, while below are the green and white manifestations of Tara. The flowers in bud, bloom and over flowering represent the three times, past, present and future.